Serving You for More than 30 Years! At M&S Roofing, we pride ourselves on making you feel like one of the family and making you a very satisfied customer. Call us today to learn more and see all that we have to offer. 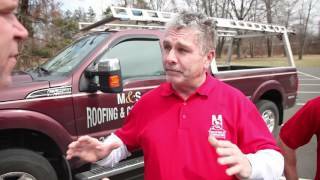 About M&S Roofing and Contracting! 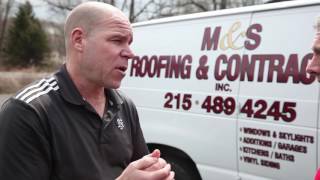 M&S Roofing and Contracting, Inc is proud to provide quality roof installations and repairs in the Bucks and East Montgomery County areas. 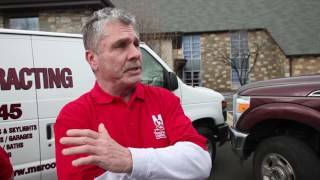 You can trust that your roof is in good hands when our highly trained staff takes on your project. Whether your roof simply needs to be repaired, or you need an entirely new roof, we will install every shingle to exacting standards to ensure that you receive the full benefit and longevity that was intended. With a full line of residential and commercial roofing solutions, M&S Roofing has the experience and expertise to solve almost any roofing problem you might have.